Mobilis opened its doors in May 2006. Due to the high demand and specialty nature of our service and products, we have grown significantly over the years. 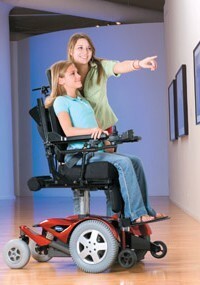 We provide all items of Home Medical Equipment and Supplies but we specialize in Complex Rehab Mobility. We are patient focused and service is our highest priority. The ATP designation is awarded by RESNA to those who have completed the training required and have passed the test administered by RESNA. If you are an ATP or would like to train to become an ATP, Mobilis needs you. We would like the opportunity to show you what we have to offer: salary plus commission, benefits and a great work environment. We have the most competitive commission in the industry. Be a part of our team of professionals and discover how you can grow, be rewarded and earn more with us.